Course Reps are students at the heart of attempts to improve teaching, facilities, and community at UAL's six colleges. There are more than 600 Course Reps across UAL, including 67 Further Education reps, around 250 international students and 132 postgraduates. Course Reps are elected at the start of the academic year by their course group. Elections are organised by the relevant Course Leader. Once appointed Course Reps attend training provided by the Students' Union. Course Reps communicate with students online and in person to find out more about the issues they might be facing on their course. They attend meetings and forums where they represent the needs of students to college staff. Many Course Reps also help to run extra-curricular activities like socials, guest lectures, and group trips. If there is something you want to change about your course, your Course Rep can help make it happen – or you can run to be a Course Rep yourself! How can I become a Course Rep? Being a Course Rep is a brilliant experience; it's a great addition to your CV and you will learn a wide range of skills such as public speaking, negotiating and how to chair a meeting. The first step to becoming a Course Rep is to speak to your Course Leader. They are responsible for making sure there is at least one Course Rep per group. Most courses have more than one Course Rep for each year. Sharing the role is often easier, and Course Reps sometimes specialise in different areas, for example, representing international students or setting up social events. So even if you already have a Course Rep, there might be an opportunity for you. 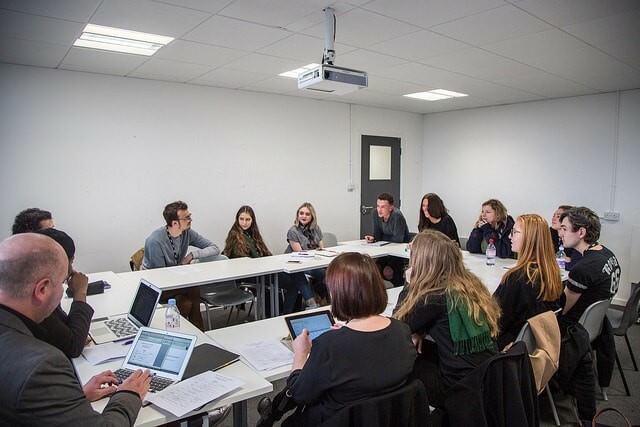 All Course Reps should be registered on our Arts SU database to ensure that you receive training, support, and access to new opportunities across UAL. Registration is compulsory for all Course Reps, including anyone who has been a Course Rep before. If you would like to make a formal complaint about something happening on your course, please get in touch with our Advice Service to see if we can help.